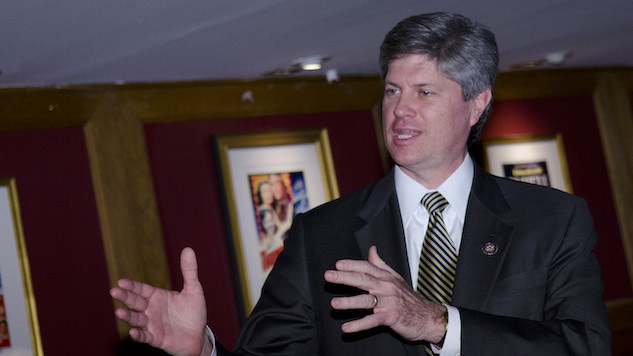 U.S. Representative of Nebraska Jeff Fortenberry recently saw one of his ads vandalized. His face was covered with giant googly eyes, and the ‘o’ in his name was replaced with an ‘a.’ So it now says Jeff Fartenberry. The tagline was also edited to read: “Strong Families, Strong Communities, Strong Odor.” Check it out. Per the Lincoln Journal Star, local professor Ari Kohen saw that same image on Facebook, chuckled, and gave it a like, along with 364 others. He was shocked when Fortenberry’s office called him. Eventually, Kohen returned the call. He and Archer argued for over an hour about whether or not Kohen was endorsing vandalization of the sign. Though he told the Lincoln Journal “It wasn’t clear at all what he wanted from me, if he wanted me to unlike it or retract it.” Tensions grew. Given the recent attacks on liberal figures as well as the Pittsburgh synagogue shooting, Kohen felt threatened. He reported the incident to an ethics committee and the incident was eventually resolved. In the end, Kohen asked Fortenberry to speak during his classes, despite being unable to reach an agreement. At this time, Fortenberry has yet to accept or decline.